Thread: 2yr old sunbeam cafe creama Vs older model breville with in-built grinder? Entry level coffee machine. Requiring something to practice one and to start to understand taste etc..
Sunbeam one I would need a separate grinder and breville is an older model but don't know the model number. I know most recommend a separate grinder however was more interested in the internal set up as still a bit confused about what to look for operationally. 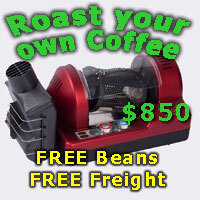 You will pay about $800.00 for a Breville with a grinder attached. I prefer a separate grinder and coffee machine. EM 6910, and EM 480. Lower spec coffee machines make it difficult to get the taste right, in my view, I use an EM 5600 in our campervan and the coffee does not taste as good, even with a single walled basket and an Em 440 grinder, very much the same as the EM 480 grinder.